Whether you are a provider or a patient, little is more frustrating than a denied insurance claim. 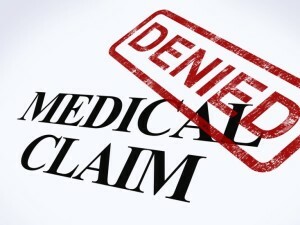 For patients, a denied claim usually means either a large, unexpected bill or many hours spent on the phone trying to appeal the claim (or both). For the provider, it means a delay in receiving payment. Neither situation is enjoyable, but denied claims are common; the Medical Group Management Association estimates as many as 5 percent of all claims are kicked back by insurance companies — and often due to avoidable mistakes. As the compliance deadline for the new ICD-10 coding standard looms closer, it’s important for providers to know the most common mistakes that claims are denied in order to avoid them. CMS has issued guidelines stating that for the first year of ICD-10, Medicare claims that aren’t coded correctly will not be denied, but that guideline only applies to claims submitted to Medicare, and not private insurers, meaning it’s more important than ever to avoid these errors. As mentioned above, on October 15, all providers will need to begin using ICD-10 codes for medical billing. These codes are more specific than the existing ICD-9 codes; for example, under the previous coding system, the diagnosis might be a broken right, but the new codes would indicate precisely which bone was broken, the type of fracture, and the cause of the fracture. A lack of specificity in the coding is one of the top reasons for denied claims, and it’s often due to clerical errors that lead to incomplete, incorrect, or invalid codes. Educating the coding and billing departments about proper procedures and the identification of red flags can help spot problems before they lead to denials. Advanced software can help too; for example, home health providers should use home health billing software that automatically checks for coding problems to ensure claims are properly filed. Insurers each have their own deadlines for filing claims. 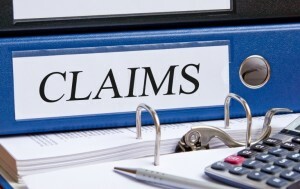 Failing to submit the claims within the specified timeframe can lead to a denial. Your billing department needs to stay on top of billing deadlines for insurance carriers, but also needs to keep meticulous records about when and how claims are submitted. There have been documented cases in which claims are denied because the payer didn’t receive the claim within the window, even though the claim was properly submitted. In those cases, denials are not justified. Failure to get preauthorization. Many providers now require patients to have a preauthorization number in the system before they can receive certain procedures or even get an appointment, but for those that don’t, failing to get preauthorization is a common cause for denials. Wrong location. If a provider sees patients in multiple locations, it’s important that all of those locations be listed with the insurer. Otherwise, claims for services at the unregistered locations may be denied. Too many services in a specified timeframe. This is most common with behavioral and home health policies where the policy will only cover a certain number of services per day, week, or month. Receiving more than one service in a single day, for example, will usually lead to the second claim being kicked back. Wrong provider. Usually, in a large clinic or practice, all of the providers accept the same insurance policies. However, there are exceptions. For example, a provider may think that he or she is paneled under all of the policies offered by an insurer, but is only a provider under one type of policy. Submitting a claim for a provider who isn’t actually paneled by the insurer will lead to a denial. Clerical errors in codes are common, but so are other, seemingly minor errors. These errors, like a typo in a name or birthdate, can lead to denials. Usually, these errors go unnoticed until the claim is denied without any other reasonable explanation, but they can contribute to delays and extra costs. There are a number of other reasons that insurance claims are denied, including many that stem from the patient, such as cancelled policies. However, the risk of a denied claim is reduced significantly when you avoid these errors and take the time to review claims for accuracy before submitting them.